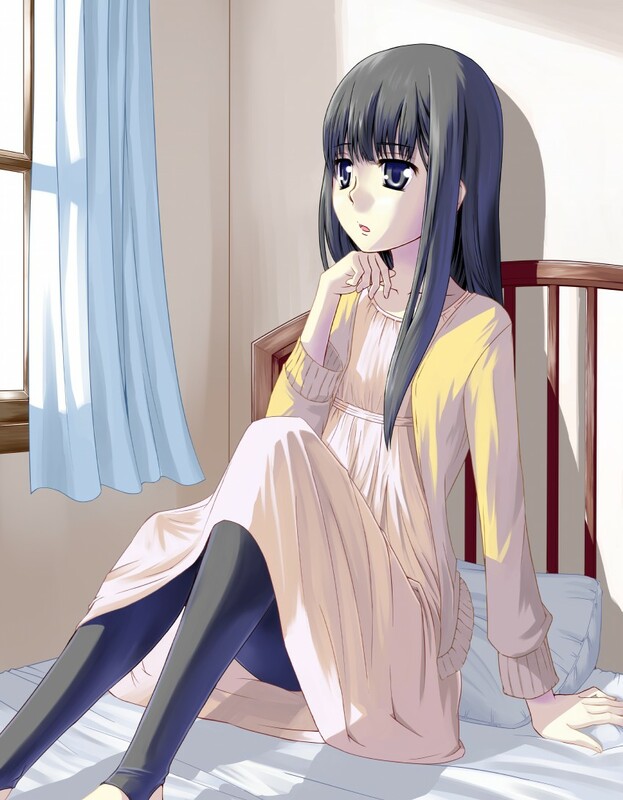 Hourou Musuko has totally captured my heart. Each episode leaves me wanting more, while reveling in the joy of the what I’ve just seen. Episode 7 (“Rosy Cheeks ~Growing Pains~) was no different. I really enjoyed the pairing of Nitori and Anna; they’re such a weird coupling, which I find wonderful. I’m also a fan of the Anna character, not the least of which is because her VA, Yui Horie, is probably my all-time favorite. A scene that stuck with me was when Takatsuki tells Chiba about the relationship. Chiba is of course shocked, but Takatsuki, too, seems to be hurt. Is her retreat from Nitori simply because of a girl keeping her distance from a taken man, or could be her attempt to avoid being hurt? Are you KIDDING me? You’re depressed because of middle school heartbreak? That ain’t NOTHING. Even then, my problems are little in light of what’s happening with others around the world, or even in my own neighborhood. Children are being abducted and abused; North Koreans trying to escape to freedom are being gunned down; and women are being brutalized, beaten, and even killed because of their choices. What are my problems in the face of these issues? But you know what? My problems count. And so do those that are like Chiba’s. We’re all in different phases and places in life, and although some problems are certainly bigger than others, one’s pains are real all the same, whether its over a little heartbreak or an agonizing death. In other words, Jesus cares about all of our problems because he has been there. Like Nitori, He was probably a pimply-faced teenager. Like all of us, He was tempted to do things He knew He shouldn’t. And so when we’re hurting, He understands. For followers and non-Christians alike, I think we can learn something here. Many of us aren’t especially empathetic (or you’re like me – a person who thinks he’s empathetic when he really isn’t), but we can emulate Christ and try to be. A person’s pain is real, whether or not we think he or she should be in pain. And when those moments come when we can support those we care about, let’s be like Christ, understanding that we, too, have been/could someday be in a similar situation and showering love upon that person. Even if she’s a downer like Chiba. I might add that sometimes we don’t understand why we’re feeling pain over something we consider a relatively small problem. When both of my best friends moved away a few years ago, I was in denial. I told myself I was fine (after all, Jesus was with me, and He was plenty… right?). But I went through a type of grief, and it took a while for that pain to go away. I’m terrible with acting on empathy, but after my own struggles, I better understand when people are depressed or feeling pain for seemingly no reason. Some of them might need a good shake. But often they just need friendship. Sometimes they need their pain to be validated, because they’re trying so hard to push down any pain over their “little” problems. As usual, your post triggered me looking into the anime and adding it to my “want to watch” list. I found some screenshots, and the art is beautiful! You brought up a great point (well, a few of them really) – isn’t it funny how most of us just need someone to “be there” for us? No advice. No doing. Just being. That, itself, can sometimes be enough help. I wish I could see it like you do. I’m in the Tell Chiba to Get Over It category. Then again, I haven’t really been enjoying the series (nor NOT enjoying it…it’s weird) other than the scene where they all ran through the haunted house screaming. And I especially haven’t been liking Chiba. She’s exactly the kind of person I hated in junior high. READ THE MANGA. I cannot stress this enough.